The commanding officer of a Canadian air force squadron flew 4,000 miles in October 2012 to attend a special event in our village. 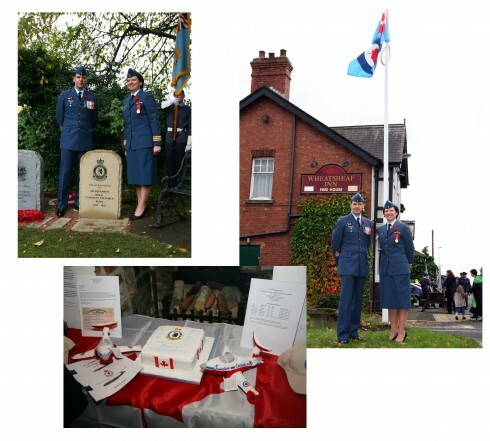 Lieutenant Colonel Maryse Carmichael unveiled a new memorial stone in the village on Sunday 28 October, to commemorate the founding of 431 Squadron at the village’s World War Two airfield exactly 70 years previously. The Royal Canadian Air Force 431 (Iroquois) Squadron, served at Burn between 1942 and 1943. In that time the squadron flew around 320 sorties from Burn, losing 17 of their Wellington bombers and 85 crew. Now known as the ‘Snowbirds’, the squadron is the Canadian equivalent of Britain’s Red Arrows. 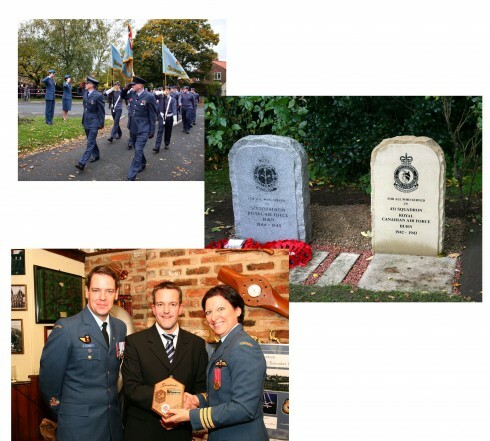 Burn Parish Council decided to recognise the sacrifice and contribution made by those Canadian war heroes with a commemoration stone and memorial service on the small village green. Lt Col Carmichael and her Chief Warrant Officer Alan Blakney travelled from their air base in Moose Jaw, Saskatchewan, to attend a memorial service in our Methodist chapel, followed by the commemoration ceremony on the green. Warrant Officer Blakney gave a reading at the chapel service while Lt Col Carmichael removed the Canadian flag to unveil the stone. Young bugler David Critchley played the Last Post and 40 Air Training Corps cadets performed a march past. At the ceremony were almost 40 VIP guests including Deputy Lieutenant of North Yorkshire, Brigadier Nigel Wood, representatives of the Royal Air Force, Royal Air Forces Association, Air Training Corps, 578 Squadron (which also flew out of Burn during World War Two), the Yorkshire Air Museum and the Fraternity of Old Selebians. In The Wheatsheaf pub there was a small exhibition of photographs and other memorabilia from 431 Squadron. And on the day, the pub was selling ‘Snowbirds’ beer, specially brewed by the Brown Cow Brewery at nearby Barlow. Lt Col Carmichael – the first woman pilot to fly with the Snowbirds – said afterwards: “It’s a great honour to be here in Burn to see our squadron commemorated like this. We really appreciate what the village has done to recognise the contribution made by our wartime colleagues and the great sacrifices they made in the eight months they served at Burn. As a thank you gesture she presented a plaque to the village, giving Burn the rare honour of membership of the Society of Honorary Snowbirds. 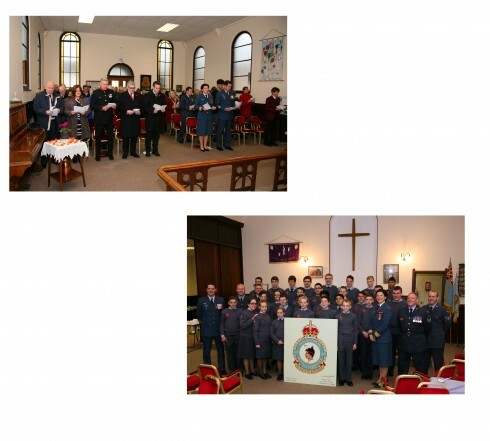 She also presented the village with a framed montage depicting 431 Squadron. Parish Council chairman Chris Phillipson said: “In all these years, 431 Squadron has never been adequately recognised and we thought it appropriate on the 70th anniversary to pay tribute to the sacrifices made by those Canadian airmen and the contribution they made towards winning the war.